SCOPE fellows are an integral component of SCOPE's mission to strengthen partnerships between medical and faith communities to improve health. SCOPE views training the next generation of global health leaders, both in Ethiopia and the United States, as a key ingredient to the sustainability of our work. Our fellowship program provides students from graduate programs at the University of Washington and the University of Gondar with 3-6 month fieldwork experiences where they apply skills acquired in and out of the classroom in a resource-limited setting to programs aimed at improving health for women and children in Ethiopia. 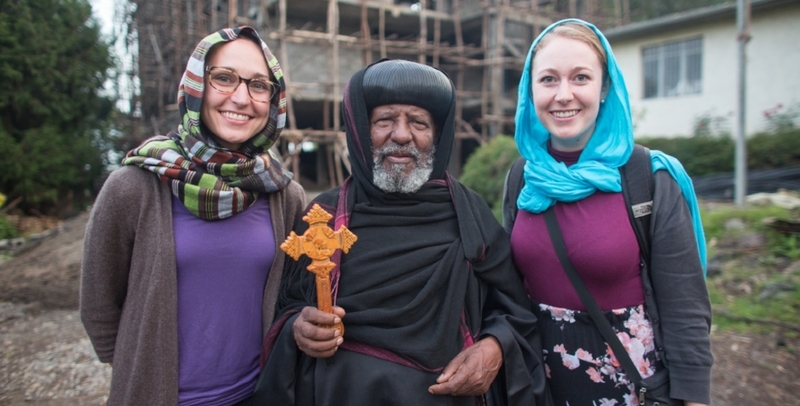 SCOPE fellows are hosted by the University of Gondar in the Amhara region of Ethiopia and work closely with our partners at the College of Medicine and Health Sciences and the North Gondar Diocese of the Ethiopian Orthodox Church. Fellows receive mentorship from faculty and staff at our partner universities as well as guidance from the SCOPE Board of Trustees. I am very grateful for my SCOPE fellowship and truly believe in the power of medical and faith partnerships. Through living and working in country, I have gained a deeper understanding of the integral role religion plays in Ethiopians’ lives and how to leverage that influence to improve health outcomes. SCOPE fellowships are open to all University of Washington students enrolled in a graduate degree program and to junior faculty at the University of Gondar. Fellows work with faculty mentors to develop an action plan that leverages their skills to assist SCOPE's ongoing community service and research projects in Ethiopia. SCOPE projects seek to leverage trusted faith pathways to demonstrate measurable health improvements in the communities we serve. Past fellows have been valuable contributors to qualitative work, program implementation, program evaluation, training, and stakeholder mapping projects . How can i apply to be a fellow? SCOPE posts a call for fellowship applications each fall. Keep an eye on this page for updates or sign up for our newsletter to receive announcements. All applicants are required to submit a CV or resume, cover letter, and two letters of recommendation. Rain or shine SCOPE fellow Simegnew Handebo and MPH student Mehari Woldemariam complete a visit to Ambober Health Center.